Any legal person, a national of any country, may apply for the registration of a trademark. A proprietor or owner of a mark means a person who has been entered in the register at the Trade Marks Registry as having the rights to use the mark in any manner it so deems fit. A person who is already using the trademark or service mark or has intention to use the trademark or service mark in future may file an application for registration under the Trade Marks Ordinance 2001 as sole proprietor of the trademark or service mark. In the event that two or more persons are co-proprietors of a trademark or service mark, the said mark would be jointly applied, having an equal, undivided share in the trademark or service mark, subject to an agreement to the contrary. Any mark may be protected and registered as a trademark if it is capable of being represented graphically and is for distinguishing the goods or services of one undertaking from that of another. A mark in this regard includes a device, brand, label, ticket, name (including personal name), slogan, signature, word, letter, numeral or figurative element, or any combination thereof. In addition to the above, non-traditional marks, including colour, sound and three-dimensional designs, may also be protected through trademark registration. There is, however, some ambiguity regarding the protection of smells, owing to the problems of graphical representation. A mark may not be protected and registered if it does not satisfy the definition of a trademark as set out in clause xlvii of section 2 of the Ordinance. Moreover, the Ordinance clearly sets out the absolute and relative grounds for refusal of a trademark in sections 14 and 17 of the Ordinance respectively. consists exclusively of indications that have become customary in the language or in the bona fide and established practices of the trade. Rights pursuant to registration confer the legal right upon the registered proprietor to initiate an action for infringement, passing off and unfair competition. The proprietor of an unregistered trademark, on the other hand, can only initiate action for passing off. Broadly speaking, a person has no right to pass off their goods as the goods of somebody else, and therefore an action for passing off is enforceable in respect of registered as well as unregistered trademarks. In this regard, the key element is deception and confusion; therefore, if any mark, even one that is not entitled to registration, is used in manner so as to cause deception or confusion, the prior user may institute proceedings under common law. the plaintiff is suffering, or there is a likelihood that it will suffer, damage as a consequence of the misrepresentation by the defendant. Owing to the level of evidence required to substantiate a claim for passing off, it can be an expensive and lengthy process. Similarly, as per section 86 of the Ordinance, well-known trademarks can be protected without requiring any registration. Pakistan is a signatory to the Paris Convention and affords protection to an owner of a well-known trademark who is domiciled in a Convention country or has a real and effective industrial or commercial establishment in a Convention country, whether or not that person carries on the business or has any goodwill in Pakistan, and references to the proprietor of such a mark shall be construed accordingly. It takes around two years to obtain a trademark registration, barring an opposition. The official cost for filing one application in one class is approximately US$10. The total cost, including professional fees, of a legal practitioner and expenses can range between US$400 and US$600, but may increase in the event of office objections. The estimated time and cost in the registration process may increase due to office action or objections by the Trade Marks Registry. The costs may further increase if the trademark application is opposed by a third party. Documents such as power of attorney and trademark representation (namely, product labels or packaging materials) are required. The Registry will also require evidence of bona fide use by the applicant if prior use is claimed. Moreover, as per section 25 of the Ordinance, where a person has duly made a convention application in respect of a trademark and within six months from the date of such a Convention application that person or his or her successor in title applies to the registrar in Pakistan for the registration of the same trademark under the Ordinance in respect of some or all of the same goods or services (or both) in respect of which registration was sought in the Convention country, in such a case the person or his or her successor in title may claim priority for registration of the trademark in Pakistan. The effect of such priority is that the relevant date for the purpose of establishing precedence of right is the date of filing of the first Convention application and the registrability of the trademark shall not be affected by any use of the mark in Pakistan for a period between the date of first application in the Convention country and the date of application for registration in Pakistan. Pakistan is a convention country and in accordance with section 12 of the Trade Marks Ordinance 2001, both goods and services are included in the prescribed classification of goods and services in accordance with the Nice Classification. There are 45 classes for goods and services with 1 to 34 being for goods and 35 to 45 for services. Multi-class applications are not available for either searches or registration. The proprietor of a trademark needs to file form TM-1, on which the registrar would assign an application number. The mark is then examined by the Registry to determine whether it falls within the definition or ambit of a trademark and whether there are any conflicting marks on the register. In the event that the trademark does not fulfil the requirements, the registrar issues an examination report with his or her objections and the proprietor of the trademark is required to file a written statement contesting the objections within a period of one month. The application is then listed for hearing, after which the registrar may either accept the mark to be advertised in the Trademarks Journal or reject the application. In the event that the application is rejected an appeal may be filed with the High Court of the competent territorial jurisdiction. In the event that the application is accepted, the mark is accepted for advertisement and published in the Trademarks Journal. Letters of consent are usually accepted by the Registry if the objection pertains to the same third-party mark since the basis of the objection is negated through obtaining the third party’s consent. Once the mark is advertised in the Trademarks Journal, persons who can potentially be affected by the registration of the trademark are invited to file oppositions, to which the proprietor of the trademark files a response. The opponent is bound to file evidence to which the proprietor of the trademark responds and is finally heard by the registrar, after which the registrar can decide whether to grant registration or not. Any decision taken by the registrar in the opposition proceedings can be appealed to the High Court having competent jurisdiction. The use of a trademark or service mark may be claimed before registration is granted or issued. Proof of bona fide use may have to be submitted on the request of the registrar. However, the proprietor may also express its intention to use the mark in the future by stating that the mark is proposed to be used. Pakistan is a signatory to the Paris Convention and priority can be claimed if the application is filed within six months of the application in the convention country. If registration is granted without use, the proprietor of the trademark must use the mark within five years from the date of registration to either maintain the registration or to defeat a third-party challenge on grounds of non-use. No bona fide use for a period of five years from the date of registration can attract the claims of ‘trafficking in trademarks’, which can be highly prejudicial to the trademark in question. The decision of the registrar must be communicated to the applicant in writing. If the applicant intends to appeal the decision, he or she must do so within one month from the date of application in the form as set out in form TM-15 to the registrar, requiring him or her to state in writing the grounds of and the materials used by him or her in arriving at his or her decision. An appeal to the High Court having competent jurisdiction from any decision of the registrar under the Trade Marks Ordinance 2001 or the Trademark Rules 2004 must be made within two months from the date of such a decision or within such further time as the court may allow. The appeal procedure in the High Court is the same as that of a civil case. Applications are published and advertised in the Trademark Journal for opposition. As per section 28(2) of the Ordinance, any person may, on application made to the registrar in the prescribed manner and on payment of the prescribed fee, give notice of opposition to the registrar. A third party may oppose the registration of a trademark after the mark is accepted and advertised in the Trademark Journal. The primary bases of such challenges or oppositions are prescribed in section 29 of the Ordinance. Upon receiving the notice of opposition from the third party, the applicant must file a counter-statement within two months, as failing to do so would result in the application being abandoned. In the event that the applicant files a counter-statement, the matter is taken up for evidence and subsequently a hearing takes place. Upon completion of the hearing, the registrar passes the orders for grant or denial or refusal of registration. Moreover, as per section 80(5) of the Trade Marks Rules 2004, a request for the extension of time for filing the opposition after the time has expired can be made to the registrar, who at his or her discretion can extend the period or time if he or she is satisfied with the explanation for delay and is satisfied that the extension would not disadvantage any other person or party affected by it. Another interesting trend is for a third-party proprietor who believes that the proposed application is identical or very similar to their mark, to write to the applicant stating the basis of its claims and calling for an amicable settlement. However, the party is not obliged to do so. This is termed a ‘pre-opposition’ letter, and we have seen many cases resolved at this stage with no need to proceed with a formal opposition. In accordance with section 73(4), an application for revocation or cancellation may be made by an interested party, including a brand owner, who does not have protection, provided that it is a bad-faith application, either before the High Court or the registrar. The official cost for filing a notice of opposition for one application is US$60. The total cost, including the professional fees of the legal practitioner and expenses, can range between US$1,700 and US$2,000. A trademark shall be registered for a period of 10 years from the date of registration and may be renewed under section 35 of the Ordinance for a further period of 10 years at the request of the proprietor, subject to payment of such a renewal fee as may be prescribed. In order to maintain registration, the proprietor must show bona fide use of the trademark in Pakistan and pay the prescribed fee for its renewal. Bona fide use can be evidenced in the form of invoices, packaging and advertising and promotional material. The registration of a trademark provides prima facie certification of ownership, allowing the registered proprietor to initiate action for infringement against unauthorised use. The burden of proof lies on the defendant and infringer to prove that he or she has not infringed upon a registered trademark. Infringement may only be claimed if the trademark is registered. Border enforcement measures have been further strengthen by recent amendments to the Customs Rules 2001, which protect registered trademark owners by prohibiting the import or export of products bearing infringing trademarks. A complaint may be filed with the customs authorities in this regard in accordance with the new additions (as detailed in question 18). A licence to the trademark may be recorded with the Trade Marks Registry, though this is not a requirement. A registered licence establishes the rights of a licensee, making it easier for a licensee to protect the trademark against misuse. As per section 77 of the Trade Marks Ordinance 2001, a licensee is entitled to initiate infringement proceedings in respect of any matter that affects his or her interest if the proprietor of the registered trademark refuses to act or fails to act within two months after being called upon to do so by the licensee. A registered trademark, being personal or moveable property, can be transmitted by assignment. Any mark may be assigned, with or without goodwill. The assignment may be for some or all of the goods and services. The assignment may also be limited in relation to use of the trademark in a particular manner or a particular locality. There is no requirement to include other business assets. A registered trademark shall be transmissible by assignment in the same way as other personal or moveable property. An application to register the title of a person who becomes entitled by assignment to a registered trademark is made by way of form TM-23 or TM-24 along with the prescribed fee. The registration certificate may have to be produced at the time of application. The assignment of a trademark must be recorded with the registrar of trademarks for the purposes of its validity. Upon being satisfied that all the correct documents have been submitted and no third-party interests shall be affected because of the assignment, the registrar of trademarks issues a certificate of assignment validating the assignment of the trademark in the name of the assignee. A trademark is intangible property. The Financial Institutions (Recovery of Finances) Ordinance 2001 regulates the enforcement of security interests for financial institutions and recognises tangible as well as intangible property for the purposes of creating a security interest. Intangible property, such as trademarks, patents and other intangible assets, can be subjected to a charge. However, it would be beneficial if the security interest is recorded for purposes of its validity and enforceability. The marks ™ or SM are used when an application is pending with the registrar of trademarks and ® is used when the mark is registered. Although markings are not mandatory, their use is beneficial as it reduces the risk of the infringer claiming innocence of not being aware of the status or existence of proprietary rights over the mark. Moreover, the marking declares the rights of the proprietor over the registered or pending marks. The Trade Marks Ordinance 2001 makes provision for civil and criminal remedies against infringement of a trademark for relief in a suit for infringement or passing-off, a penalty for falsely representing a trademark as registered, falsification of entries in the Register and applying a false trade description. Under the Intellectual Property Act 2012, specialised IP tribunals had been devised at the provincial as well as federal level with exclusive jurisdiction to deal with IP matters. All the tribunals are now operational and all IP cases from all the courts have been transferred to the tribunals. However, IP cases in Sindh, for which the pecuniary jurisdiction vests with the Sindh High Court in Karachi, continue to be filed before the said court. Moreover, as per the Trade Marks Ordinance 2001, the proprietor of the registered trademark may give notice in writing to the Collector of Customs to treat the infringing goods, material or articles as prohibited goods. As a result, the Collector of Customs shall seize and destroy such goods from the customs authorities as per the prescribed procedures. Recently, Pakistan has added a new chapter to the 2001 Customs Rules pertaining to intellectual property that is the result of the ongoing reforms to enhance IP rights protection in Pakistan and has some notable features. First, the new chapter also stipulates that the database maintained by the Trademarks Registry, Copyright Office and Patent Office containing the details of the IP rights registered or applied for by rights holders will be shared with the Directorate General of IP Rights (IPR) Enforcement. Second, the new provisions enable brand owners to notify the customs authorities of potential goods being imported into Pakistan that may infringe their trademark rights. Once this application has been made with the Directorate General of IPR Enforcement, it would then verify the rights claimed with the relevant database and if validated, the directorate will order appropriate action to be taken. Moreover, the chapter further requires customs officials to inform the directorate in the event they suspect (ie, ‘have reasons to believe’) that goods being imported into Pakistan infringe the Trademarks Ordinance 2001 or the Copyright Act 1962. A suit for infringement is civil in nature and the format is laid down in the Code of Civil Procedure 1908, while a criminal complaint may be filed in accordance with the Criminal Procedure Code 1898. The plaint must be filed in the tribunal or court possessing territorial and legal jurisdiction. The plaint may be, and usually is, accompanied by applications seeking an urgent hearing and interlocutory relief. After institution of a plaint, the tribunal or court conducts a preliminary hearing as to the maintainability of the suit. If the tribunal or court finds that the plaint raises triable issues, the tribunal or court orders the summoning of the defendant on a particular date and also mentions in the order the manner and the mode by which the summons or notices must be served upon the defendant. The defendant, upon appearance in the tribunal or court, either personally or through counsel, is usually granted time, which may extend to one month or more, to file its defence to the proceedings, in the form of a written statement as well as defence to any application for an interlocutory injunction. The time granted for filing a defence to an interlocutory injunction application is usually shorter. Once the defence has been filed, the tribunal or court sets a date for the hearing of arguments and a decision on the grant of an interlocutory injunction or orders. Parallel to this, the tribunal or court conducts proceedings on the main suit so that the main defence is filed by the defendant. Once the main defence has been filed, but usually after the decision on any interlocutory injunction application, the tribunal or court sets down a date for framing the issues. After the issues have been framed, the plaintiff is first required to produce its evidence through witnesses, and thereafter the defendant. The evidence must be submitted by both the parties. Discovery is allowed and testimony as a rule is live. Expert witnesses are also allowed but their evidence must be limited to the matters in which they have expertise. Upon completion of the examination and cross-examination of witnesses of the parties, the case is set down for final arguments and judgment on the main legal proceedings. The time frame for an injunction in a civil suit is approximately two to six months. Nevertheless, the final hearing of a suit might take around two to six years. The criminal enforcement mechanism is governed by the Criminal Procedure Code 1898. The complainant may either file a private complaint before the judicial magistrate or a formal complaint with the police. The private complaint before the judicial magistrate is examined, and on being satisfied over its admissibility, the magistrate issues summons to the accused infringer to appear in front of the magistrate. A complaint with the police results in the drawing up of the first information report by the police and thereafter the police institute an action and remand the infringer into custody, producing him or her before a judicial magistrate. The police thereafter prepare a final report and file it before the judicial magistrate, whereupon trial will commence. The conclusion of a criminal case cannot be speculated on, as that depends on the conclusion of various procedural compliances. The certificate of registration is the most substantial proof of title in an action for infringement of trademark or dilution of reputation, and the proprietor of a registered trademark can rely on the certificate of registration to establish their case. However, it is also necessary to show that the unauthorised use of the mark by the defendant constitutes an infringement as laid down in section 40 of the Trade Marks Ordinance 2001. With regard to passing off proceedings, the burden of proof is upon the claimant to show that there is an equitable interest or right, such interest is being violated and the violation is causing confusion or deception, or both, among consumers. A proprietor of the registered trademark, a licensee or registered user, and a proprietor of an unregistered trademark may seek remedy for an alleged trademark violation by way of an infringement or passing-off action. A licensee may not be able to sue for an action for trademark violation unless the licensor refuses to do so or does not do so within two months of being notified of the infringement as laid down in section 75 of the Ordinance, or unless the licence specifically grants a licensee with the right to initiate infringement proceedings. The proprietor of the registered trademark and registered user under the registered user agreement may bring a criminal complaint, but the proprietor of an unregistered trademark may only bring an action in passing off, which is a common law remedy. Activities that take place outside the country of registration can support a charge of infringement or dilution. In the event that infringement is occurring outside Pakistan, factors such as where the goods are being manufactured, sold or advertised need to be taken into account. In other words, the cause of action needs to be established to bring about a case in Pakistan. If no such evidence can be produced, the proprietor of a trademark may bring about an action in the country where infringement is taking place provided that the country is a signatory to the TRIPS Agreement and the Paris Convention. As mentioned above, Pakistan can also implement border enforcement mechanisms allowing the proprietor of the trademark to inform the customs authorities of the infringement of the trademark in order to suspend the clearance of counterfeit or infringed goods in accordance with the new rules. The Customs Act and subsequent amendment to the 2001 rules empower customs officers in Pakistan to take action against the import and export of counterfeit goods by seizing or confiscating the goods. Pakistani law on discovery envisages two kinds of discovery: discovery as to facts and discovery as to documents. The law concerning discoveries as to questions of fact permits the plaintiff or the defendant to deliver, with the leave of the tribunal or court, its interrogatories in writing to the other side and must also specify as to which interrogatories have to be answered by which person. The parties may also seek documents for inspection from the other party that are or have been in the possession of such a party. It is in the tribunal or court’s discretion to grant such a request for the production of a document based upon the relevance of the document to the subject of the case. The law restricts the scope of interrogatories to the extent that such interrogatories must relate to a real matter at issue between the parties in the proceedings; hence, no room is left for any irrelevant interrogatories. All the interrogatories must be answered through an affidavit and the tribunal or court has the authority to direct a party under interrogation to answer in more detail any of the interrogatories that have either been insufficiently answered or where the answer has been omitted. Before any document can be directed by the tribunal or court to be produced for inspection by the applicant, the law requires that such a document should either have been referred to in the pleadings of the party or have been relied upon by such a party. In certain cases, the tribunal or court may, in its discretion, direct that a duly verified copy of the document be produced for inspection instead of the original record. Upon the failure of any party to answer interrogatories in the manner directed by the tribunal or court or produce the document, the tribunal or court may, in the event of non-compliance with its directions, if the defaulting party is the plaintiff, dismiss its suit; otherwise, if the defaulting party is a defendant, its right to defend the suit may be closed. Moreover, the party defaulting to comply with the direction of the tribunal or court to produce document shall not be entitled either to rely on such a document in future or otherwise cannot derive any benefit from such a document in the proceedings of the suit. There is no fixed time frame for an infringement or dilution or related actions for cases being dealt at the trial court level, as much depends on the individual case. A preliminary injunction takes approximately two to six months, whereas the finality of the lawsuit is attained within two to three years. The time frame for an appeal against an order against the preliminary or permanent injunction is not fixed, but may take around the same two to three-year period. The costs associated with an infringement or dilution action, including trial preparation, trial and appeal, depend on the nature of the case and the costs of legal participants involved and may range from US$5,000 to US$25,000, or more. Technically, a successful plaintiff may be able to recover reasonable costs depending on the tribunal or court’s assessment of the matter and the losses suffered by the successful plaintiff. However, Pakistani tribunals and courts are extremely reticent to grant costs or pecuniary relief in IP matters; in rare cases where damages or costs have been granted, they are limited to a small fraction of the cost. As per the Intellectual Property Act 2012, a suit for infringement of a trademark is to be instituted in the tribunal exercising jurisdiction. Any judgment, decree or order passed by the tribunal or district court is appealable before the High Court exercising jurisdiction over the tribunal. If the appeal is filed against an order, the appeal will be heard by a single judge, but if the appeal challenges the judgment or decree passed by the district court, it shall be heard by a division bench of the High Court. Subject to the provisions of the Constitution of Pakistan, any judgment, decree or order passed by the High Court can be appealed before the Supreme Court of Pakistan, provided special leave to appeal is granted by the Supreme Court. Any decision on such an appeal by the Supreme Court is final. An important exception to the above is the unique jurisdiction of the High Court of Sindh at Karachi, owing to the status of Karachi as the country’s commercial hub. Civil suits valued at over US$150,000, including trademark infringement proceedings, can be filed directly before the single judge of the High Court of Sindh exercising original jurisdiction. Any order, judgment or decree passed by a single judge shall be appealable before a division bench of the High Court of Sindh comprising two judges. Any order, judgment or decree passed by the division bench of the High Court shall be appealable before the Supreme Court of Pakistan in the same manner as described earlier. The plaintiff may at any time, but within the limitation period, challenge the defendant’s title to the registered mark or the validity of registration of the mark and accuse the defendant of engaging in illegal activities of infringement, dilution or any related action. In a charge of infringement or dilution or any related action, the Trade Marks Ordinance 2001 provides several defences for the person being accused of such activity. The defendant may claim prior use and honest concurrent use; that the use of the mark is not an infringement, as the use does not fall under the provisions of section 40 of the Trade Marks Ordinance 2001; or that the plaintiff is not entitled to relief by reason of estoppels, such as acquiescence or abandonment of the disputed mark. The defendant may also claim that the mark under challenge contains a personal name or the name of the place of business or descriptive words without the use of which the defendant would have faced difficulty in describing their goods or services. In an action for infringement or dilution, a successful party can seek preliminary or permanent injunction, damages and account for profit. Damages may be apportioned based on the actual loss, loss of business opportunity, future profits and loss of reputation. Injunctive relief is available, preliminary or permanently, upon the fulfilment of three conditions: the existence of a prima facie case in favour of the applicant, an irreparable loss, damages or injuries, which may occur to the applicant if injunction is not granted, and that the balance of convenience should be in favour of the applicant. Criminal action may also be taken for applying a false trade description and falsely representing a trademark as registered, which can result in imprisonment or a fine, or both. 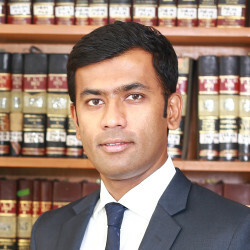 ADR techniques such as mediation and arbitration are available in Pakistan. Although not commonly used, in some cases it is a cheaper and a relatively quicker way than using litigation and is therefore encouraged. Decisions for settlements are binding upon the parties and cannot be challenged. However, enforcement of the settlement is, on some occasions, problematic if one of the parties refuses to accept the decision of the mediator or the arbitrator for settlement. The court would then have to be approached to enforce the decision of the arbitrator, which can sometimes be a lengthy process. Well-known marks, including famous foreign trademarks, are afforded statutory protection under Pakistani law, even where the trademark is not registered or used in Pakistan. Pakistan is a signatory to the Paris Convention and affords protection to an owner of well-known trademark who is domiciled in a Convention country or has a real and effective industrial or commercial establishment in a Convention country, whether or not that person carries on the business or has any goodwill in Pakistan, and references to the proprietor of such a mark shall be construed accordingly. where such use causes dilution of the distinctive quality of the well-known trademark. the Pakistani or worldwide exclusivity of use and registration attained by the trademark and the presence or absence of identical or deceptively similar third-party trademarks validly registered or used in relation to identical or similar goods and services. Further, it may be noted that Pakistan also provides broad-ranging rights against unfair competition and under common law provisions, which may be used by owners of famous foreign trademarks to protect their interests. It is worth highlighting that the office of the Directorate General of IPR (DG IPR) Enforcement has assumed a proactive role with regard to the import and export of counterfeit goods. The office of the DG IPR and that based particularly in the region of Sindh, in accordance with SRO 170(1) 2017, actively informs brand owners when it identifies consignments bearing counterfeit or infringing goods from the Weboc System, who may then choose to take action against the owner of the counterfeit goods. This initiative has been commended by many brand owners and has furthered the enforcement of IPR in Pakistan.